Yesterday, I received a special delivery. 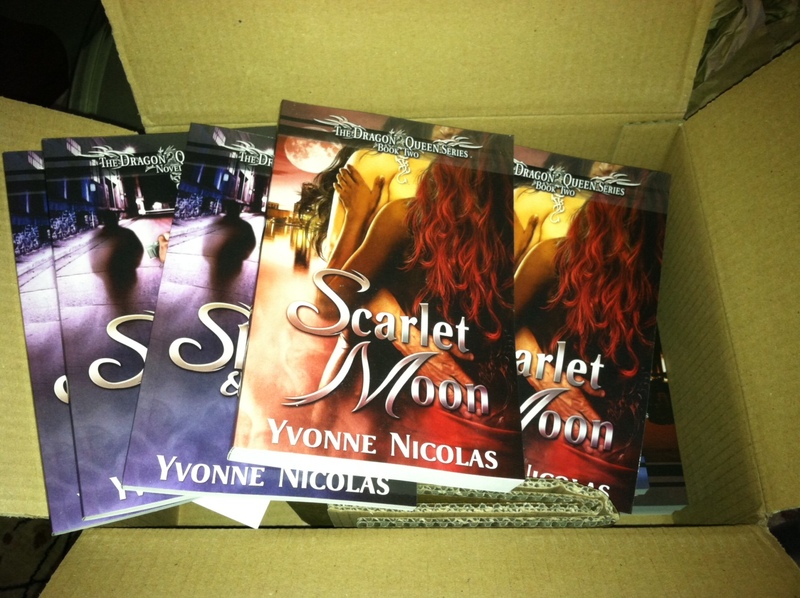 A box full of goodies for The Dragon Queen Series. I’m going to apply my John Hancock to every one of them, and a little something extra, then head to the post office with a smile. I’m excited because these books are going to some very special readers. This entry was posted in Dragon Queen Series, Message to the Readers and tagged erotica, Interracial romance, multicultural romance, Readers, shifters, The Dragon Queen Series, Vampires. Bookmark the permalink. Wow, see the pretties! Very nice.